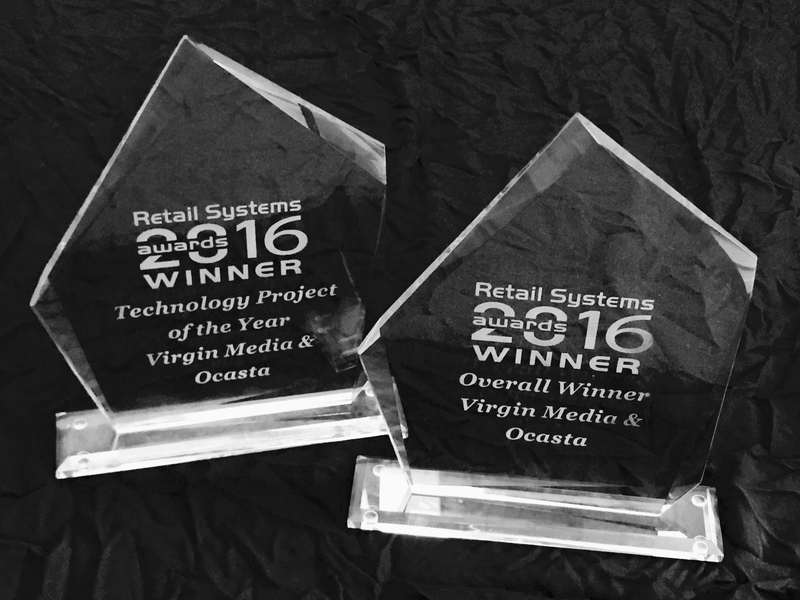 Our suite of award winning apps are used by everyone in Virgin Media Retail, from sales execs on the shop floor, Regional Managers on the road and teams in head office. vPos is Virgin Media’s till system replacing a clunky terminal based desktop website with a snappy iPad app available on each sales exec’s iPad. Taking the sales to the shop floor, vPos allows staff to sit with their customers instead of running back and forth to fixed sale points. Removing the need for these bulky sales counters means Virgin Media are refitting their stores to open up more space on the sales floor. Product barcodes can be scanned with the devices built in camera and the WiFi enabled receipt printers means everything is done wirelessly anywhere in each store. With just one login to unlock all of their apps, store staff don’t have to remember another handful of passwords. 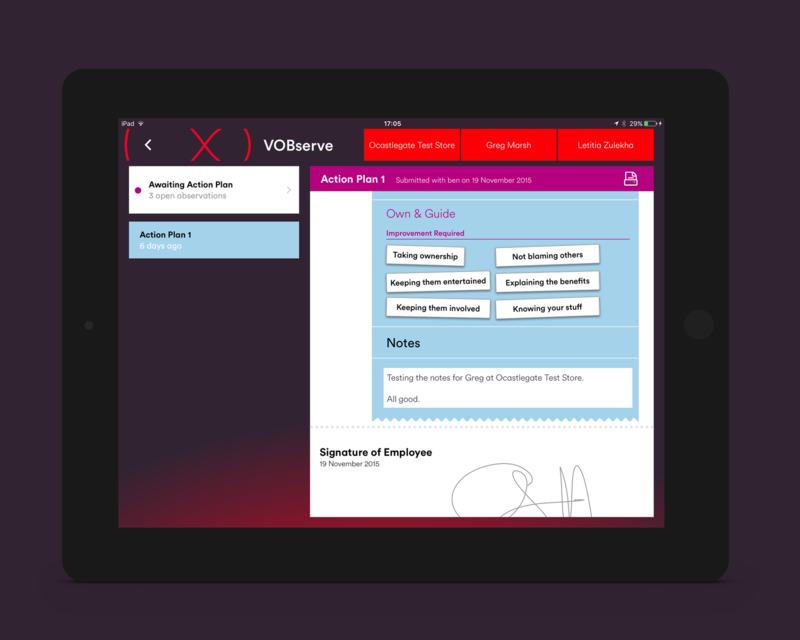 We deploy these enterprise apps straight to staff iPads - all centrally and securely managed. Keeping the apps up to date, away from unauthorised devices and out of the App Store. 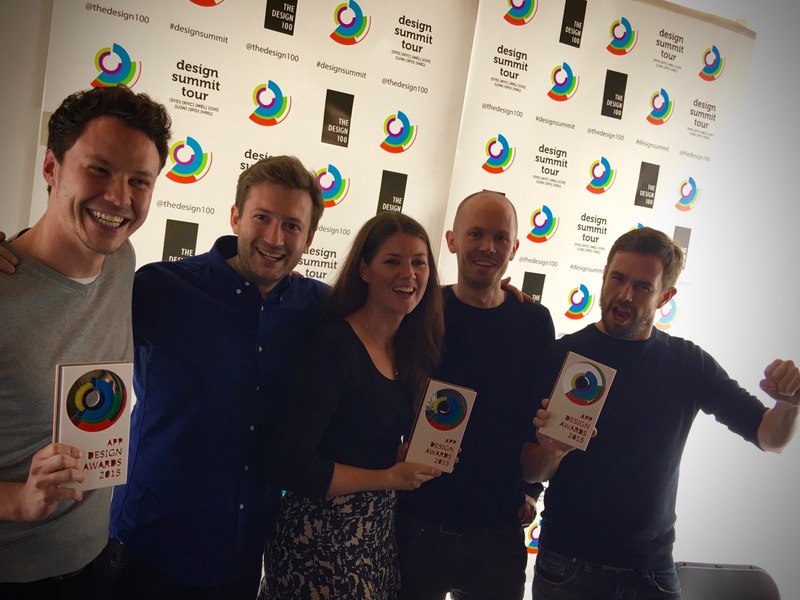 Our on-going partnership and Virgin Media’s commitment to digital retail innovation means the experience for their store staff and customers just gets better and better. 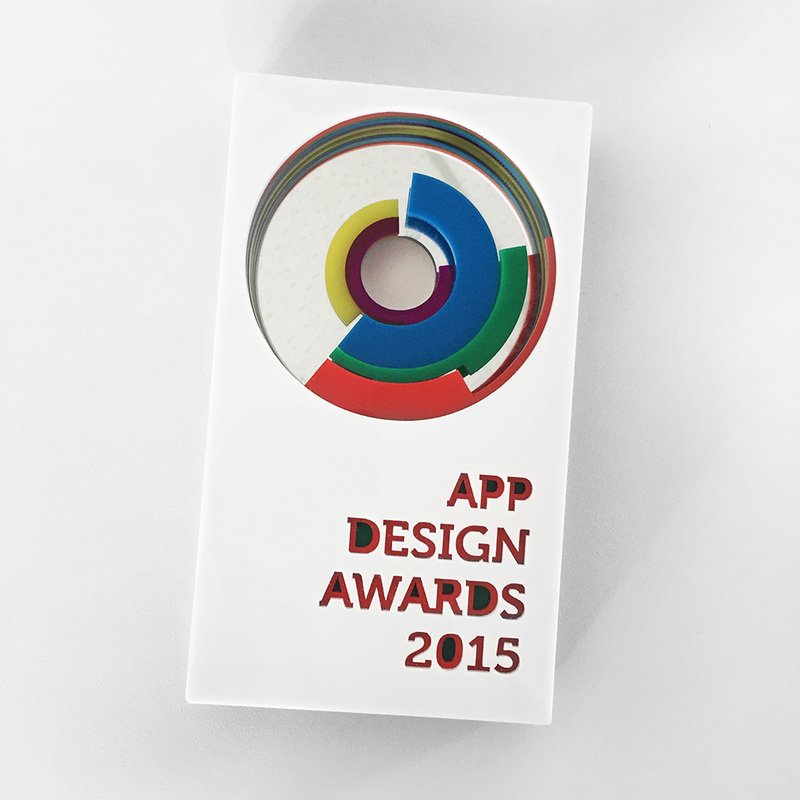 We've had our apps externally audited and reviewed by Deloitte against any nasty stuff. Engage lets store staff quickly access important articles, be kept in the loop and complete their store routines. All from their iPad. We help staff understand the company’s fast changing products and services and improve their overall business knowledge, ultimately improving customer experience. Notifications allow head office to instantly notify teams of important info, cutting through the inbox and directly targeting who needs to know. 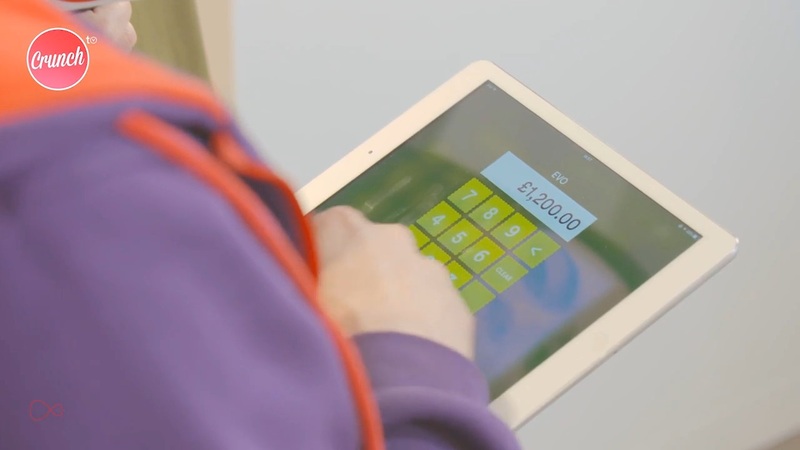 They can use the app to check off their daily and weekly tasks, stay compliant with data protection and compliant with Financial Conduct Authority regulations. Being mobile means these checks can be taken place quickly, in-the-moment, all around the store. In fact, the biggest checklist used to take 4 hours per store to complete every month – our app brought that down to an average of 45 minutes. Any issues found can be flagged to the relevant team to get resolved. To keep all the staff well trained and compliant, Engage prompts them to re-read important documents every so often and acknowledge they've read them; great for keeping everyone up to date on health and safety, customer data protection and other legal stuff. He’s the hero of our e-learning app. Albert was created to quiz store employees on their knowledge of all things Virgin Media. With three daily games designed to help staff have clued up customer conversations about their services and products. With fun game modes and prizes up for grabs - learning with Albert never get's boring. Find out more about Albert’s approach to in-store learning. Our coaching suite delivers flexible training and development right on the shop floor. Making it easy to carry out regular staff observations and action plans has seen an increase in customer satisfaction in store. All whilst helping the sales execs sell consistently and effectively. By guiding staff through the sales journey with focused magnets, all the content captured by VOBserve is easily trackable. With thousands of checklists and observations being submitted each month, it's easy for the retail team to gain insights at every level; whether the whole estate, regional, stores or individuals. Head office visibility keeps them in touch with their teams in store. We hold regular workshops with Virgin Media's store staff to get feedback firsthand. The team of Regional Managers use Vitals to keep their finger on the pulse of the stores they’re responsible for. 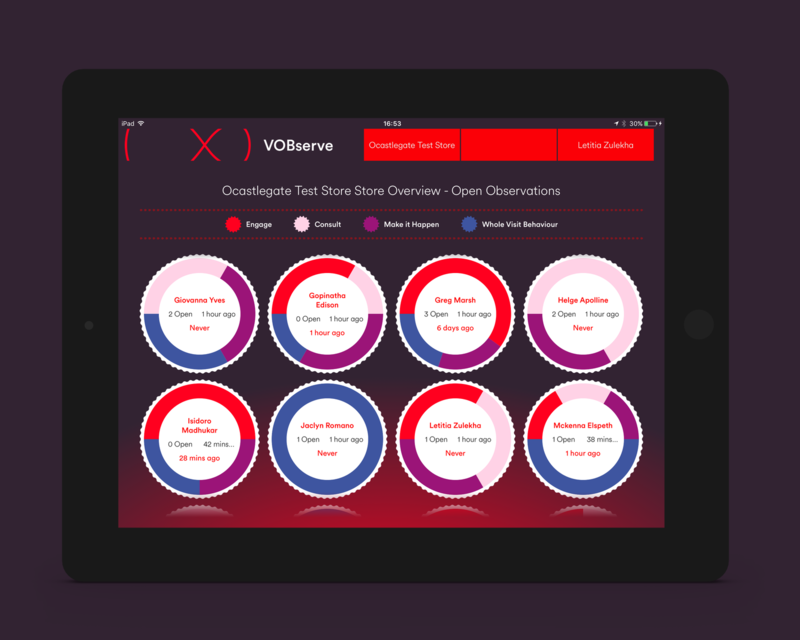 Quickly dipping into Vitals lets them view each stores sales figures or how operationally compliant they are (ooer). If they’re in store, they can produce a quick report – setting actions on the team to review next time they visit. We host, support, maintain and manage all of these apps for Virgin Media’s sales channels. If you’re looking to improve your retail experience for the staff and customers – get in touch. Powered by Oplift – Customer experience starts with your employees.